Gr. 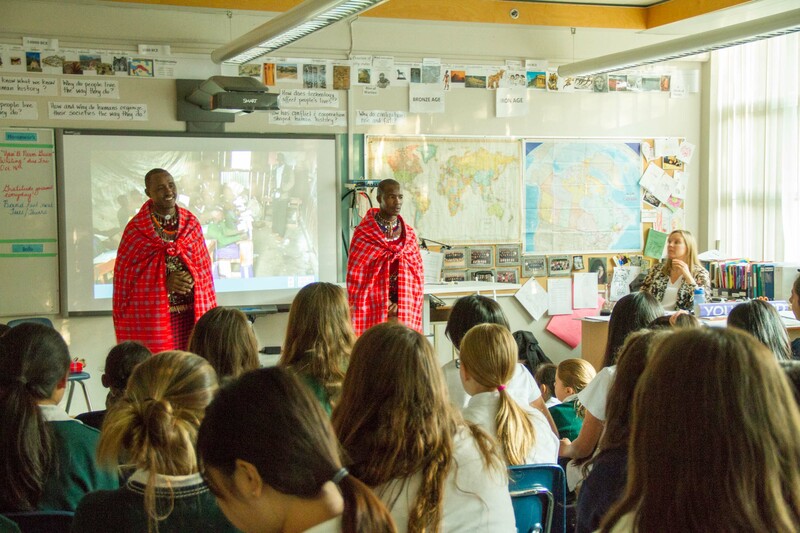 6s and 7s had some special guests in the classroom: Masai Warriors from Kenya. The Grade 6s and 7s had two special visitors from the Me to We program. 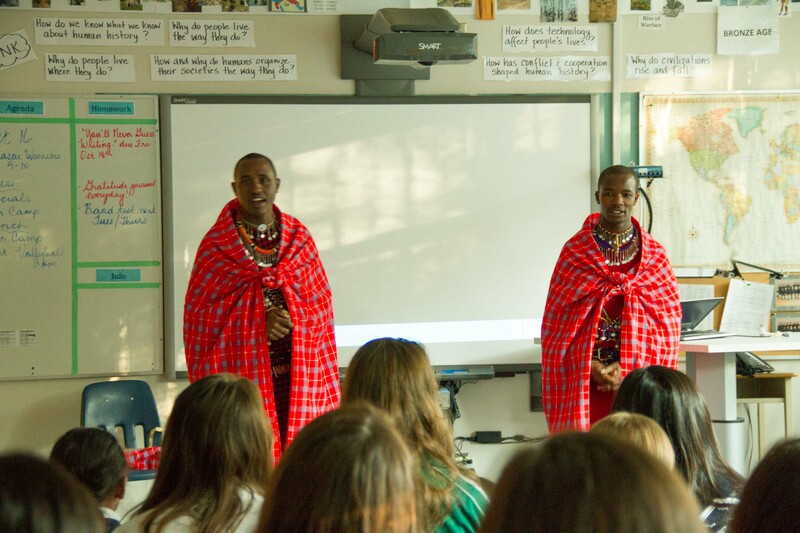 Wilson and Jackson from the Maasai tribe in Kenya spoke about their experiences growing up to become Maasai warriors, as well as an educated people. They spoke about how Free The Children helped to build new schools for their village, and the growing importance of education in their community. It was interesting to hear about their traditional Maasai customs, clothing, egalitarian structure, weapons, etc., as well as how they are graduate students of high school and college. They donated a book to the school which details their experiences, called “The Last Massai Warriors”, as well as a club weapon and a “shuka”, a traditional cape type clothing item. The girls had many questions for Jackson and Wilson. After the presentation the Grade 7s spent another 40 minutes connecting what they heard from Jackson and Wilson to what they are learning in Socials about hunter/gatherer societies and to what they are learing in Science about animal habitats.